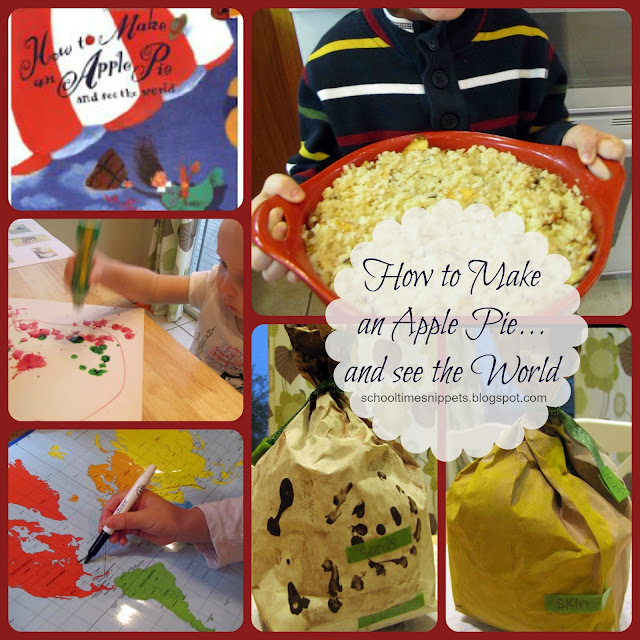 We did a lot more activities for "How to Make an Apple Pie and See the World" last year-- you can check it out in this post. This year, we kept to the basics and took very few pictures! With that said, we still had a wonderful time reading and talking about the book! My son got a kick out of filling in the part, "...except if the market is closed!" 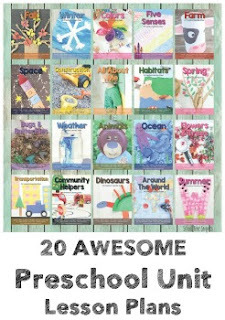 And I enjoyed reading it everyday! It is such a cute book and I highly. highly recommend it if you have never read it. While learning the different countries, Big Brother drew out her travels on our laminated wall map! Such a simple hands-on geography lesson! For a science and craft activity, my son made a paper bag apple and then labeled it. Half of the paper bag was the outside of the apple, and the other half was what it would look like it you cut it in half! Little Sis got into some craft action, too! I just drew out an apple shape for her and gave her some dot markers and slips of paper she could glue on. And, how could we not read this book, How to Make an Apple Pie and See the World , all week and not make an apple pie... impossible!! Of course we made an apple pie, too! Our crust less apple pie is ready for the oven... and this is the last picture I have of it. It was so very yummy! To see the activities we did last year, check out our 2011 Apple Pie row!